There are so many different knives that people use in the kitchen when preparing meals. From boning and butcher knives to chef and cheese knives, you need to keep all of them in stock if you run a retail store or website that provides customers with quality kitchen knives. If you’re searching for a distributor to provide your store with cutlery wholesale products, Blue Ridge Knives is the company that can do it. Armed with more than 40 years of experience, we can equip your store with all sorts of kitchen knives. We distribute knives from many of the most trusted names in the cutlery wholesale product space. You’ll find boning, butcher, chef and cheese knives from brands like Victorinox, Benchmark, Old Hickory, Almar, Opinel, Hen & Rooster, and more when you choose to become a Blue Ridge Knives dealer. Moreover, each manufacturer that Blue Ridge Knives carries offers a variety of styles, including the aforementioned boning, butcher, chef and cheese knives as well as fillet, carving, paring, steak, and bread knives. This ensures you’ll always have the knives your customers need in stock. 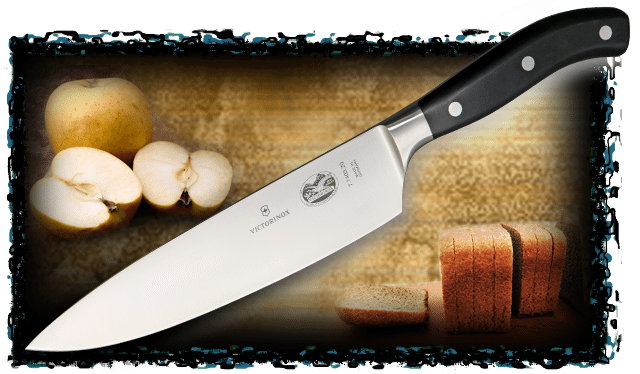 To start selling the kitchen knives distributed by Blue Ridge Knives, simply establish a dealer account with us. Once you’ve sent us a copy of your state-issued resale license, we’ll start sending you our monthly sales catalogs featuring the latest cutlery wholesale products. It’ll allow you to carry the very best kitchen knives in your retail store or on your retail website. Contact us at 276-783-6143 today for more information on our wholesale kitchen knives.